The Activate brand of vitamin-added water recently staged a human-powered vending machine in Los Angeles that dispensed free drinks to passersby. 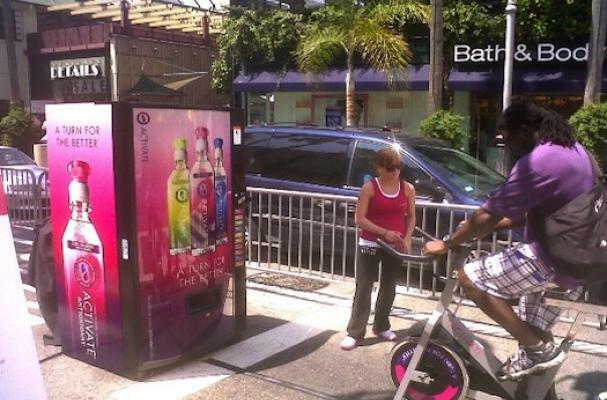 To get a free bottle of Activate, pedestrians just had to pedal for 30 seconds. The Activate human-powered vending machine also had a charitable twist: the company donated the retail value of each gratis bottle to Nourish America.